Brother Jed in Speaker's Circle. 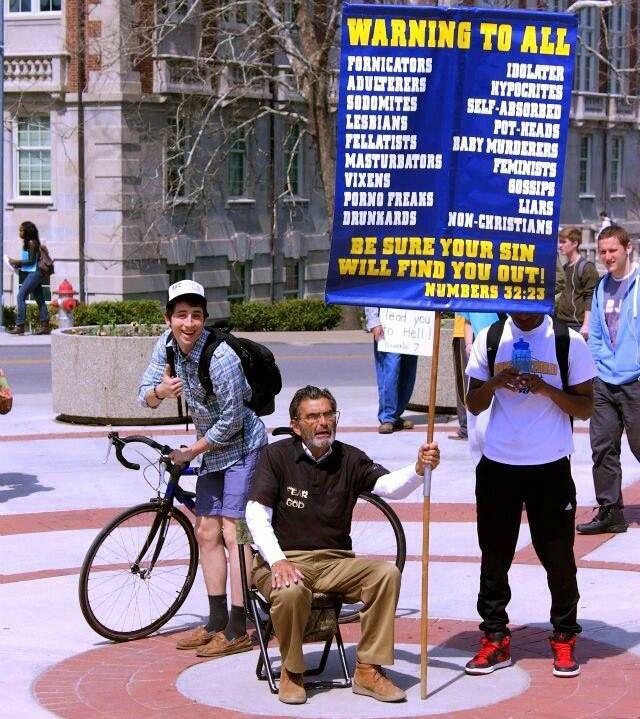 For about 10 years now, "Brother Jed" Smock has been spreading a hellfire-and-damnation style Christian message in college campuses all around the country. But Columbia was his home base and he could often be found at Speaker's Circle, yelling at young couples holding hands, denigrating non-Christians, and shouting hateful things about homosexuals. After years of tireless work, Brother Jed has decided to move to Indiana, his home state. "My main message is Jesus's first public message: the time is fulfilled, the kingdom of heaven is at hand, repent and believe the gospel," Smock said. "Rock and roll is wicked, depraved and diabolical"
This is not the most controversial of his rants. But his body language and intonation are all pretty on the mark. It's some old school preachery. "A masturbator today is a homosexual tomorrow"
This is a common thread. Masturbation and homosexuality are the salt and pepper of campus preaching. "My wife goes from kitchen to bedroom, kitchen to bedroom"
Brother Jed doesn't even have to order her to do this. Much. Relevant section starts at 2:10. The Gay Song, or, "It's not ok to be gay"
This is the classic to end all classics! Brother Jed has sung this catchy, highly requested, extremely offensive tune all over the country. 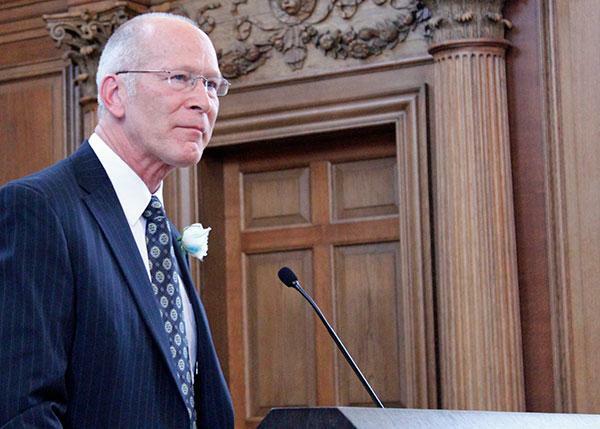 Thanks to The Zou Feed for the photograph at the top which I think really captures what Brother Jed is all about. For some, there's a clear separation of religion from reason, reason from religion. But that's not the way author C.S. Lewis saw it. To him, religion and reason went together. That idea was the foundation of a talk on Thursday at Westminster College in Fulton.